give your flock limited or complete access to free range. up seedlings, and strewing mulch all over the garden paths. ration to be fed at dusk is a great way to get them to come home. We’re resting our pastures this winter by free ranging the flock as much as possible, but we’re also taking our own advice. Once the nine week old broilers started scratching up my garlic, they got relegated to the orchard half of the yard, and we’ve been giving them a snack every evening before shutting them in the coop for a safe night’s sleep. 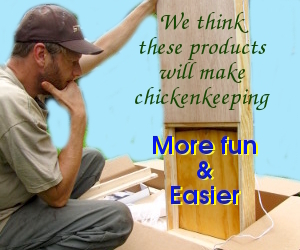 So far, we’re enjoying the best of both worlds — happy and healthy chickens and a free range method we can live with.